Here in my world the temps are lower than normal and that makes for some wonderful garden thyme! 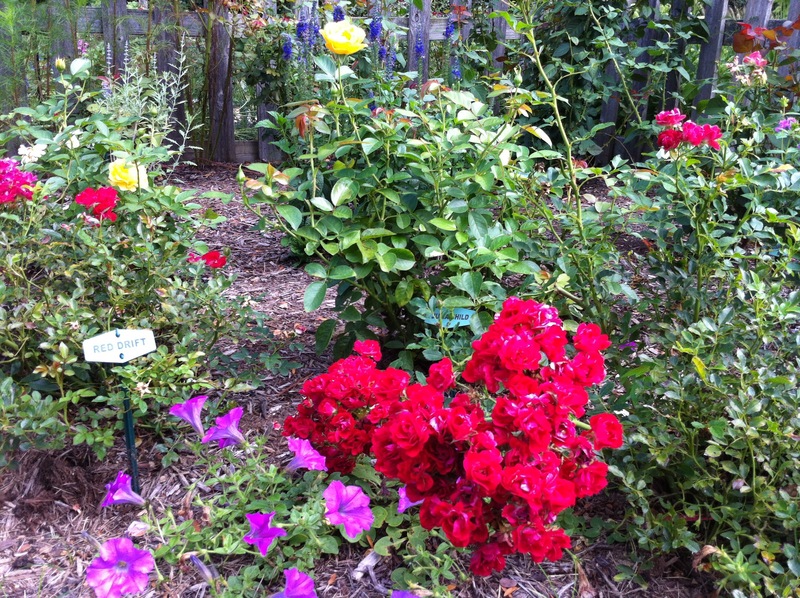 The garden is looking more like spring than fall this week as the roses are coming back to bloom! Know that I am totally in denial about the leaves on the trees that are beginning to change color and the cicadas that are singing! 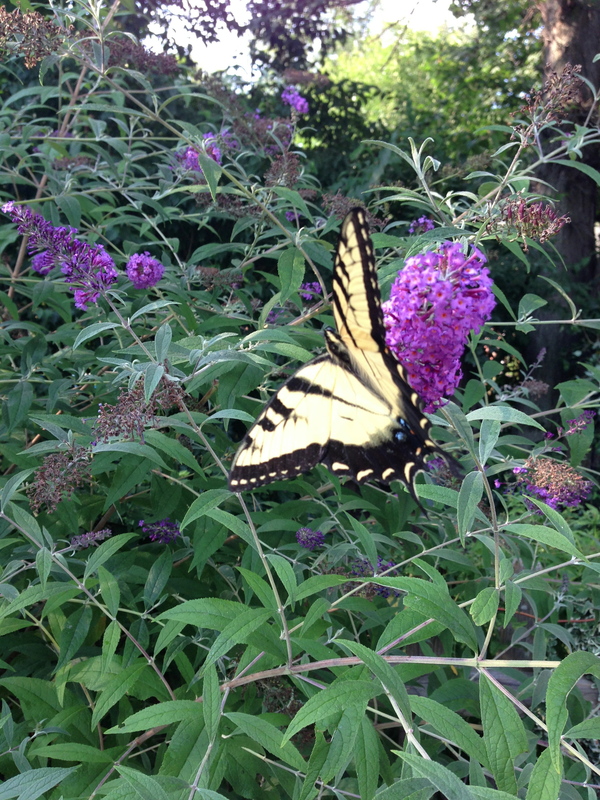 And we have butterflies everywhere! Thanks for stopping by! I am wishing you a wonderful day filled with what you love best! We are more than 1/2 way through June — summer is here and she came in with some intense heat in my neck of the woods. 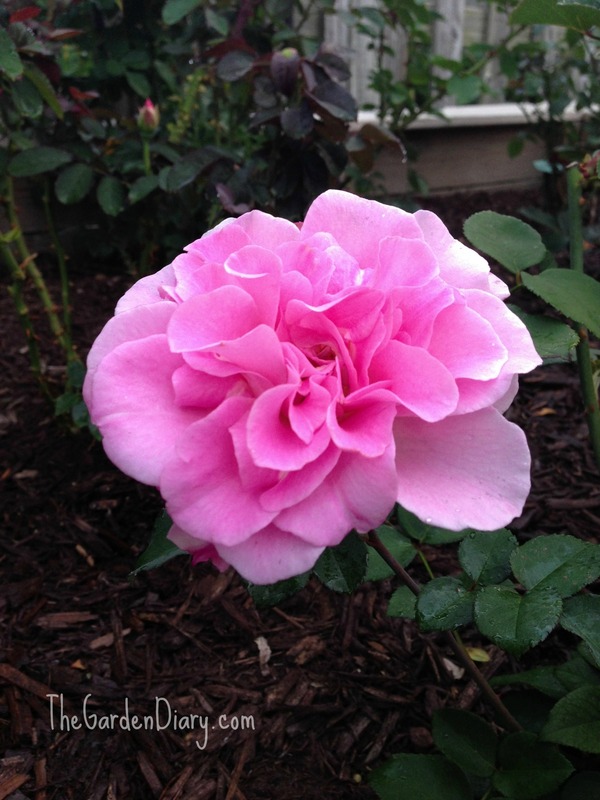 I was up early doing some trimming and general gardening but am glad to come into the air conditioning to continue my celebration of National Rose Month by sharing another rose with you. Next up is Red Drift. 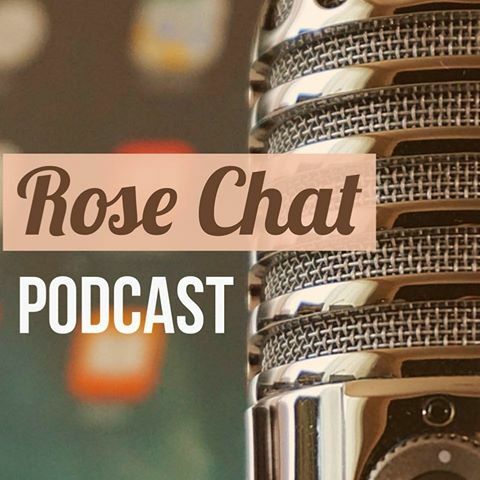 I love the entire line of Drift Roses from Star Roses and Plants but today I am excited to talk about Red Drift — fits well into our National Rose celebration with it’s bright patriotic red color! This picture tells the whole story of what you can expect from this rose all summer. It is always in bloom! 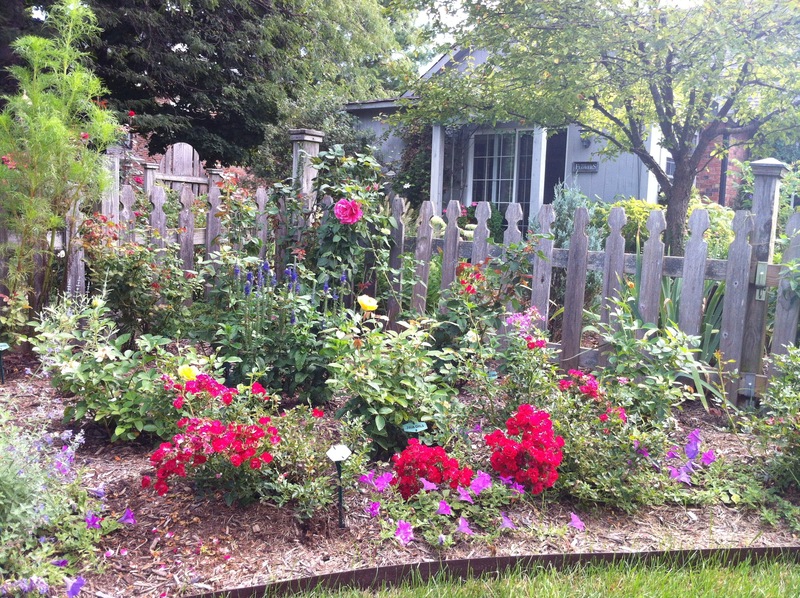 Here’s a shot of one of my rose borders… Red Drift is showing off even when the roses behind her are taking a break. 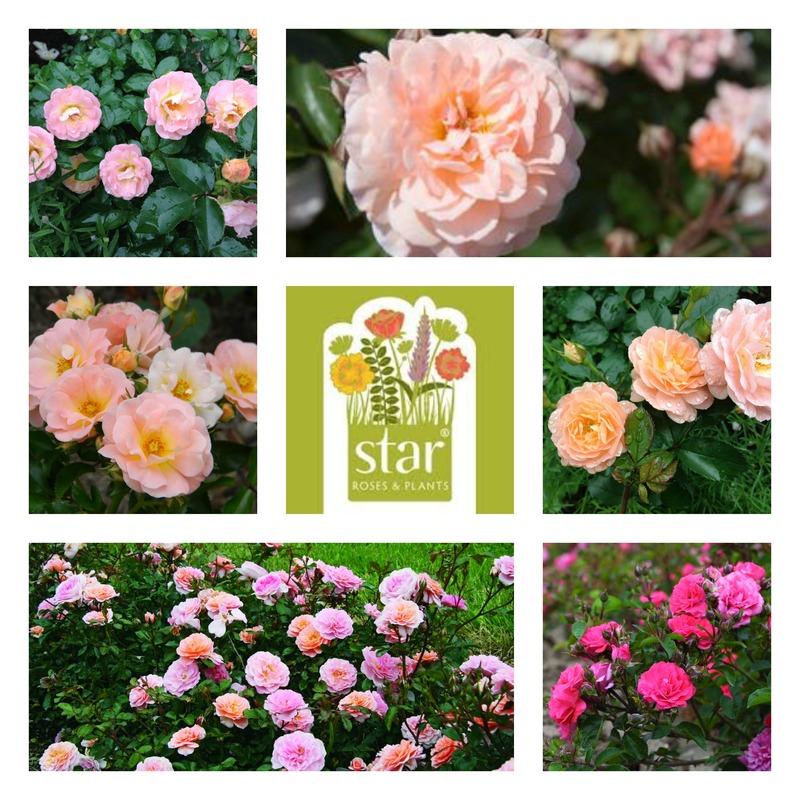 Here’s what Star Roses & Plants has to say about Drift roses…. 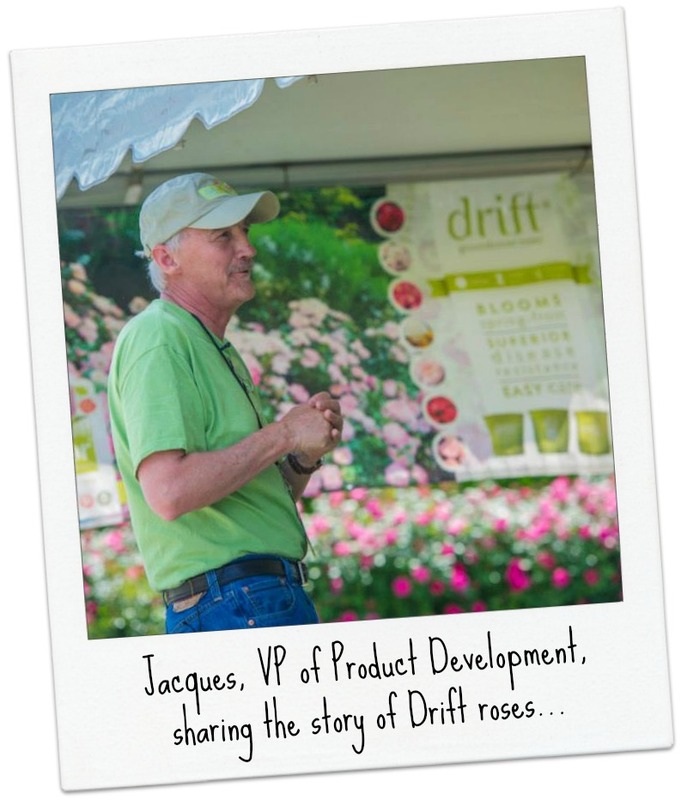 Drift® Roses are a cross between full-size groundcover roses and miniatures. From the groundcovers they kept their toughness, disease resistance and winter hardiness. From the miniatures, they inherited their well-managed size and repeat-blooming nature. One of the highlights of Garden 2 Blog (and there were legion) was getting to meet our good friends from Star Roses & Plants–Kajsa Haracz, Jacques Ferare & Kyle McKean. 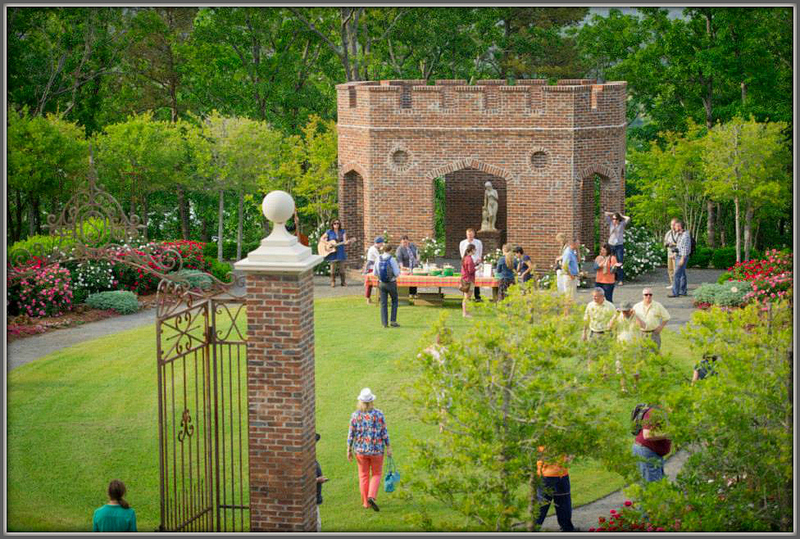 P Allen Smith has many Drift roses on Moss Mountain, so I was able to see varieties I had never seen before. One of those was Coral Drift. OOH LA LA. Lucky for me, our local IGC, Country Harmony, had Coral Drift, so I am now the proud owner of 2 of those. But, I’ll show you those beauties another day. 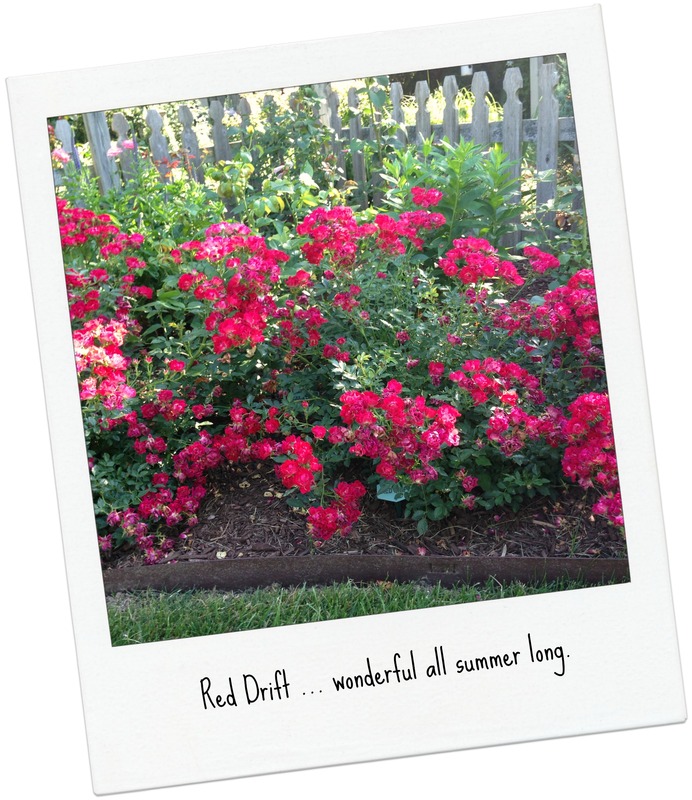 I have 5 Red Drifts in my garden and they are about 18″ high and about 2′ wide. 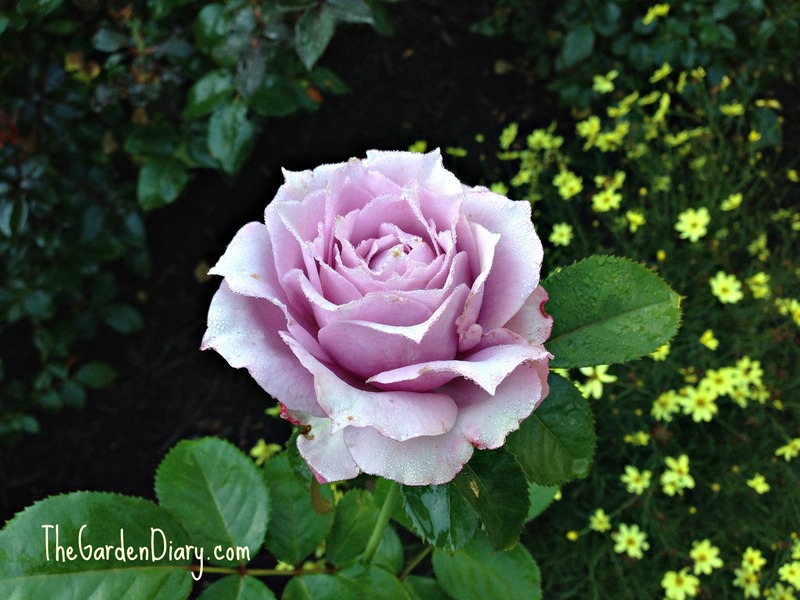 They keep my rose border alive with bloom from early spring to fall. 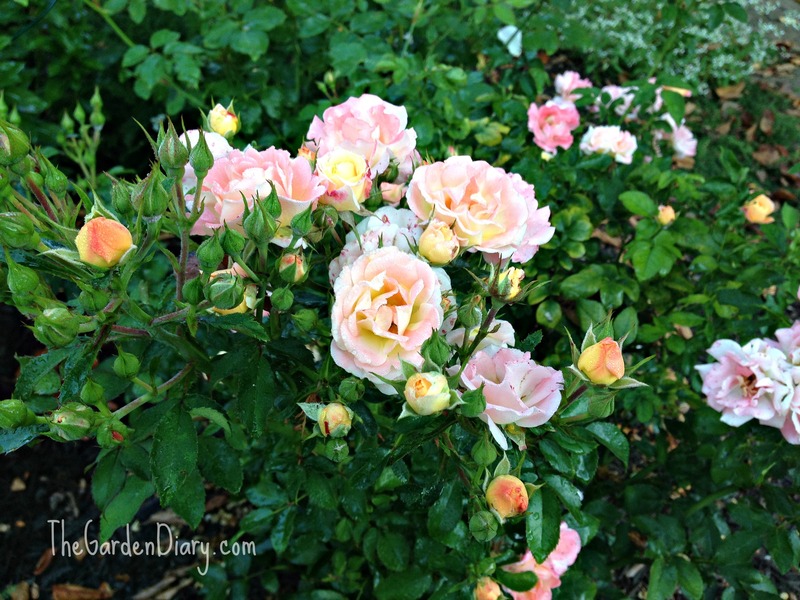 Another bonus for me is these roses compliment other flowers and roses whether in the ground or in a vase. I love to add them to arrangements! Even though I only have 5, there are plenty of blooms to share! The blooms are in sprays which add great interest to vased arrangements. These blooming machines are extremely disease resistant and a true joy in my cottage garden. All I do is give them a little fertilizer and they are good to go! 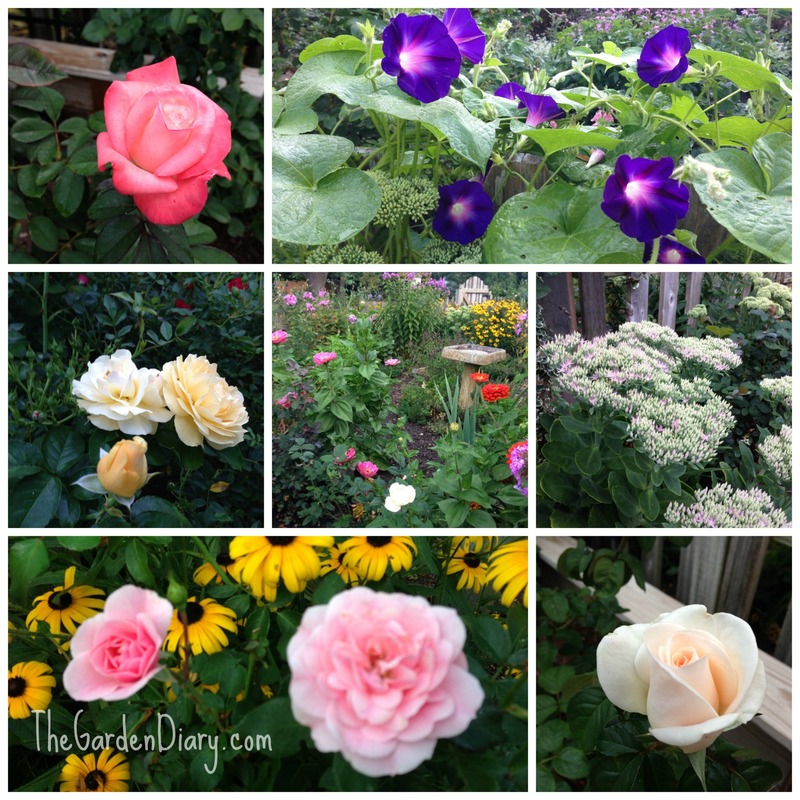 If you don’t have any of these beauties in your garden–I highly recommend you add them. Even if space is an issue for you, they will fit nicely into a container or any nook or cranny and give you season long beauty! Tomorrow I think I’ll share a rose with you that helped get me in the winner’s circle. This morning I had a most glorious walk through my garden! 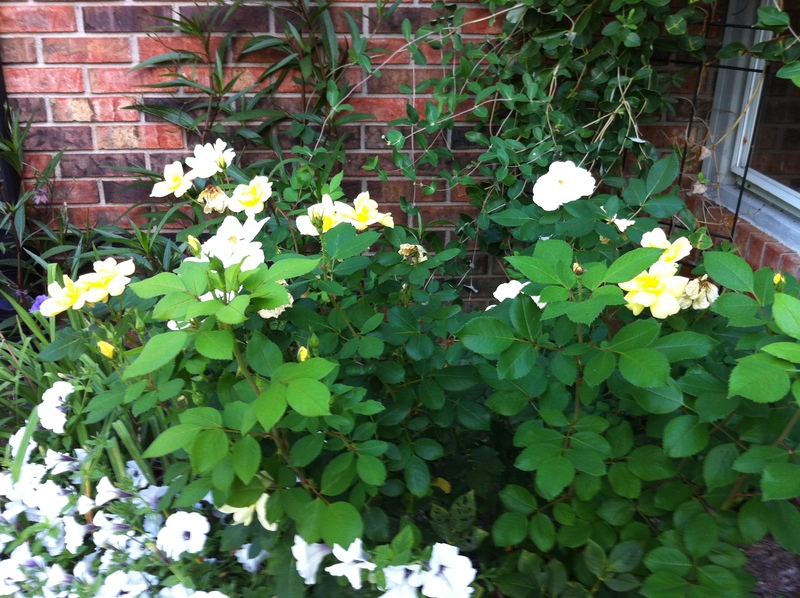 The drought is over and many of my roses and their companions in the garden think it is spring! 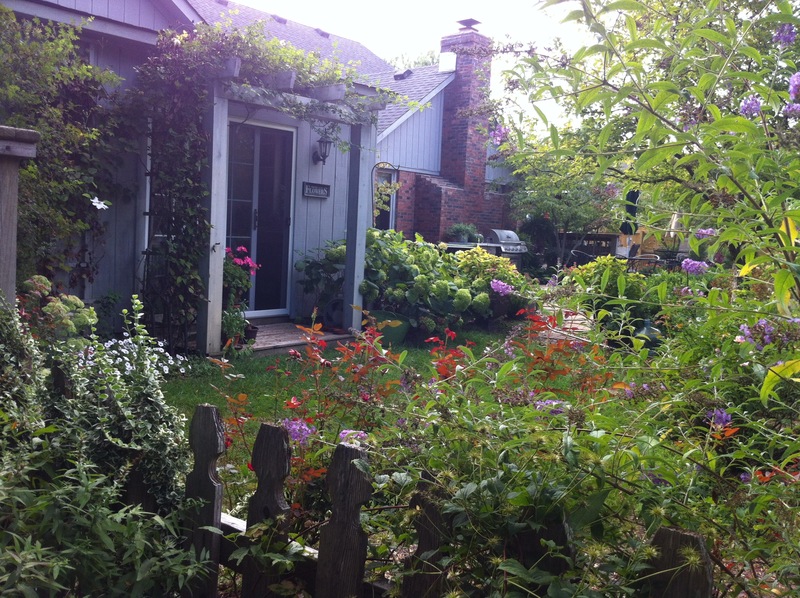 I am looking over green grass, glossy rose leaves, reblooming perennials and even a few dandelions! 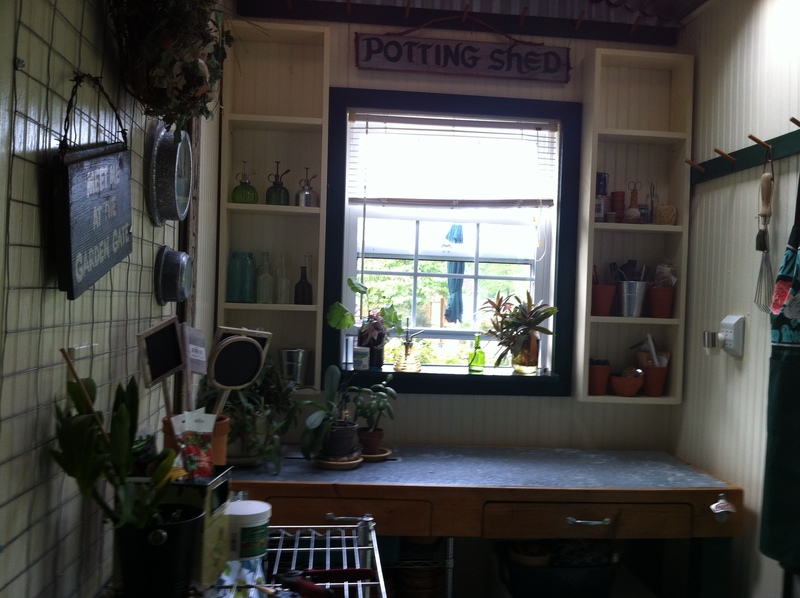 As many of you know, the POTTING SHED (click for details) was a gift from my very handy husband. Well, last week he built more shelves, and now I have shelves on both sides of the window! I don’t even have them all filled yet. But here’s how they looks so far! 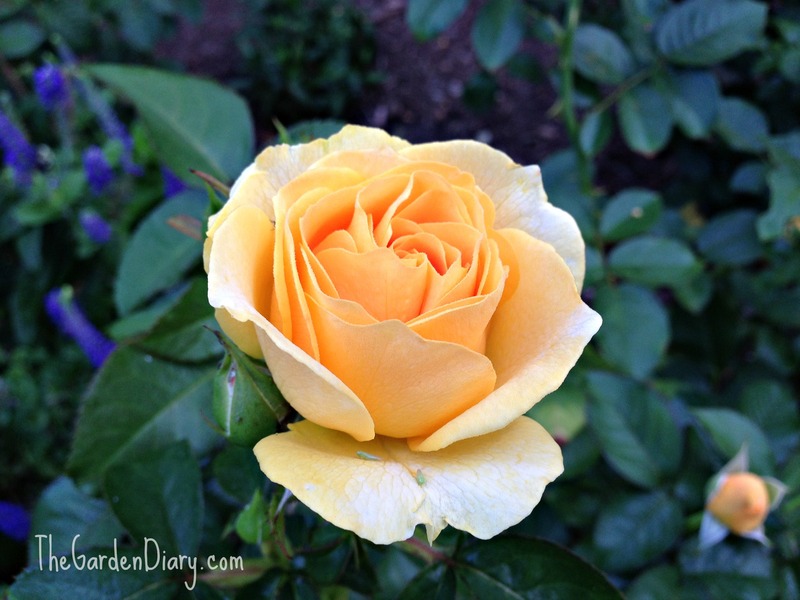 Many roses are blooming and many are filled with buds, so the next few weeks are going to be very nice! I do believe this is the calm before the storm! The weatherman tells us that rain (lots and lots of rain) is on it’s way! He also tells us that July was the driest month on record and August very well may be the wettest August on record. 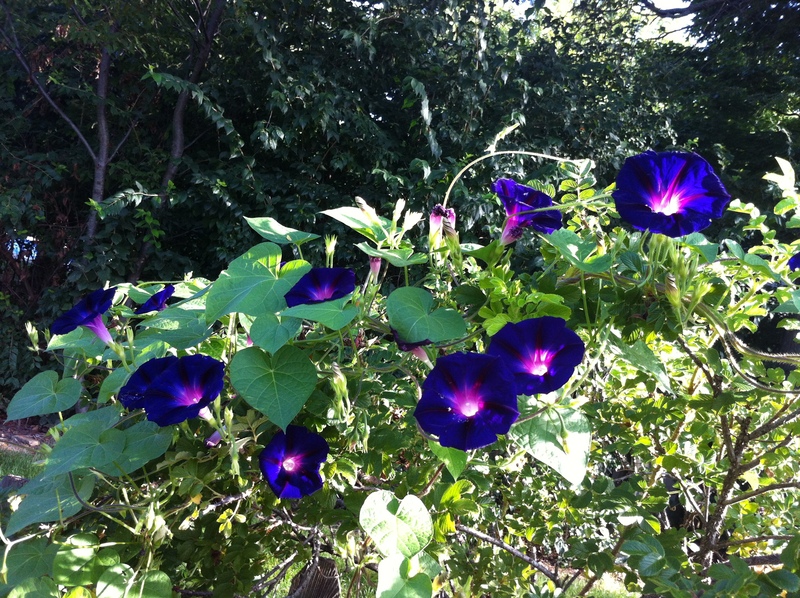 Morning Glories are so well named–don’t you think??? They are always a welcome sight to me! I just can’t get enough of this Sunny Knockout rose. 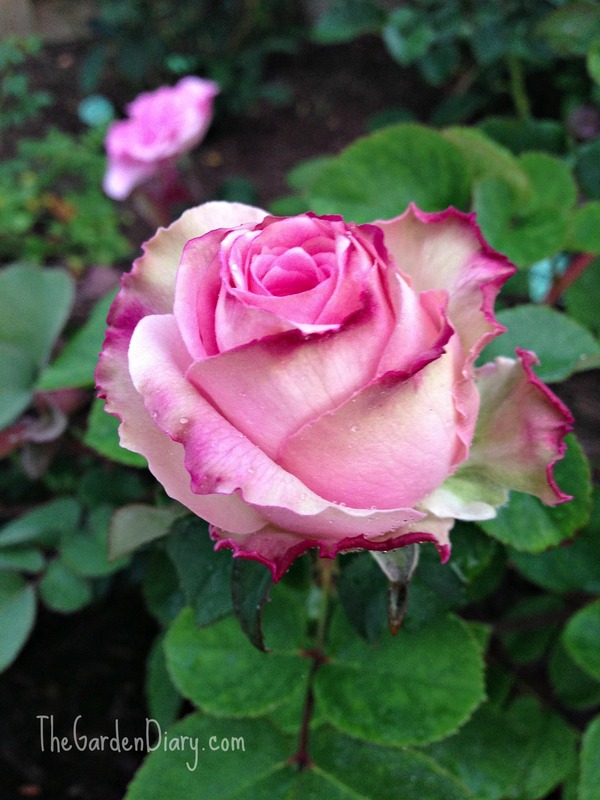 Rain or shine … this rose just keeps giving us beautiful blooms. 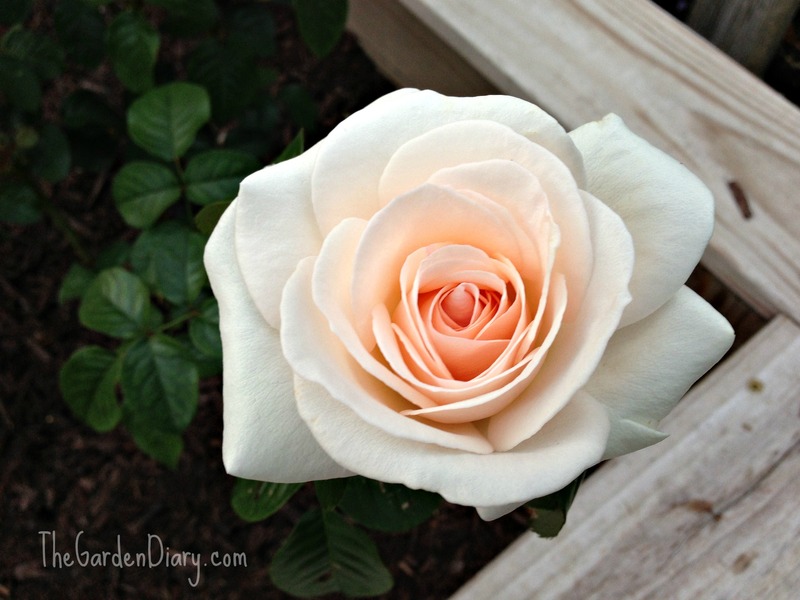 These blooms have a sweet fragrance, plus I find they last and last in a vase! What’s blooming in your world today? Are you getting rain too?